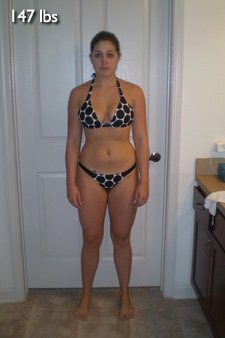 Katie Shed 26 Pounds In Time For A Competition! Katie felt like she had let her body go and desperately wanted to get it back in time for a competition. Read on to see how she was able to not only compete but take 5th place! Six months before I started training for my first bodybuilding show I met my fiance. I worked anywhere from 45-55 shift hours per week. My hours were all over the place. It was hard to get a routine for working out. When I met my fiance, I stopped caring about what I ate and forgot what cardio was. I never stepped on a scale to watch my weight. About five months later I finally decided to buy batteries for my scale and was in utter shock to see that I had packed on 20 pounds of FAT. None of my clothes were fitting and I was not comfortable in my body. I decided to change my body because I was losing self confidence. A few days after this realization, there was a table at our gym with a recent fitness competitor who shared her story of taking home a first-place trophy for her show. After hearing her story and telling me I should definitely give it a shot, I contacted my aunt who is a pro bodybuilder. I was about 30 pounds away from being able to compete in a show. There were only 12 weeks left for the last NPC show of the year. I knew it was cutting it close, but with the faith I had in myself I knew I was ready for the long hours of cardio and the strict diet. I Decided To Change My Body Because I Was Losing Self Confidence. My trainer Anita Ramsey was living in Eaglesnest, New Mexico, at the time I started training. With my location being in Fort Worth, Texas, my training was done online. She started my 12-week plan off with a diet and a workout plan. At the end of every week I sent her front, back and side pictures, what reps/pounds I did for my workout and what my current weight was. After reviewing my weekly update, my trainer would send me my updated amount of cardio and what diet rotation I should do. I am a contractor so my office is at my apartment. I started out doing 1 hour of cardio and by the last week before the show I was doing 3 and half hours of cardio. Every morning before breakfast I would get up and do my morning cardio on the treadmill at my apartment. In the evening I would go to the gym and do weightlifting and finish off my cardio for the day. 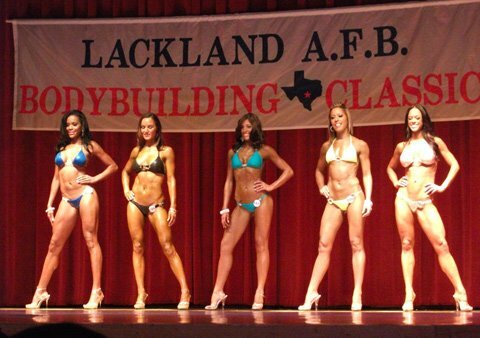 Twelve weeks later I stepped on stage for the Lackland Bodybuilding Classic on November 13, 2010, for the bikini division and took home the 5th-place trophy out of 19 girls. 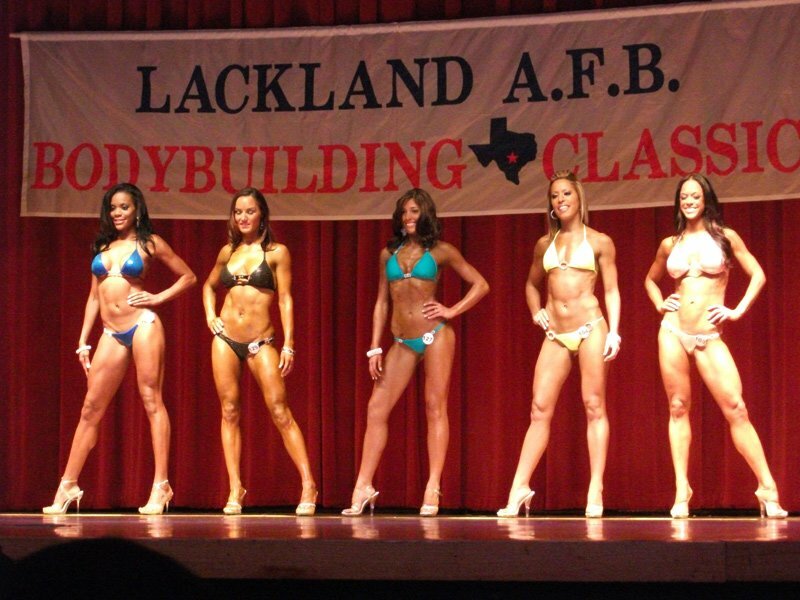 Twelve Weeks Later I Stepped On Stage For The Lackland Bodybuilding Classic And Took Home The 5th Place Trophy Out Of 19 Girls. Follow Diet 2:(PF) for 2 days ... then follow Diet 1:(PV) for 2 days ... then Repeat. I did cardio 7 days a week while training for my show. I rested from weights on Saturday and Sunday. You should never have an excuse. Not enough time, I can&apos;t ever go on that kind of diet, that&apos;s too hard, etc. are not reasons; they are excuses. Anything you put your mind to you can achieve. Set short-term and long-term goals and stick with them. Make friends with people who will help keep you on track. Have an accountability partner that will help steer you back on your goal when you might happen to get distracted.